It has been decided to resurrect the Loch Eck Trophy this year, the competition will run from 26th September until the 3rd October, with the exeption of Sunday 27th. Members participating will book their boat and day in the usual manner at Campbell’s Paint Shop. There will be two trophies awarded, first for the biggest fish and second for the biggest overall basket taken. Any legal method may be used. Weigh-in to be at the boathouse at 6 pm each night. Any legal method? Why is that? If we need another comp (and there are already plenty in the club diary) why is not fly only on a wild fishery designated as a site of special interest? Let’s treat it as such. This is a comment from someone who regularly fishes Loch Eck and sees the margins littered with dead parr and juvenile fish that have taken a bait and been ‘returned’. Do the club catch limits for migratory fish apply? If not they should. The days of a trophy for the best ‘basket’ of fish on a wild fishery are gone surely? I will pass your comments on to the “powers that be” Paul. 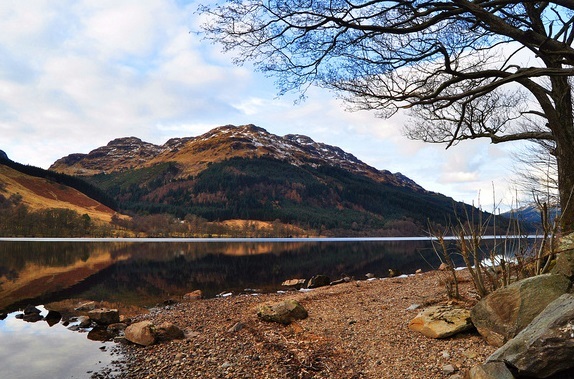 Just read the report about recommencing Loch Eck competition after nearly 2 decades of no comps for migratory fish on rivers and loch Eck due to declining fish stocks in our waters. As a member for nearly forty years having seen the decline in migratory fish numbers over the past 2 decades, numbers of fish in our rivers and catches are lower than ever. It has been several years since a salmon was caught on the Masson with the Ruel only an occasional fish caught in recent years. The Ruel numbers largely due to hard work by some members with stocking and river improvement works. As a member that fishes mainly for brown trout and migratory fish on DDAC waters, numbers of fish in DDAC waters are surely not adequate to allow competitons for migratory fish to resume. We have plenty other competitions for trout on both Tarsan and Bishops Glen. There is also no mention of rule- no hen salmon to be killed September and October,DDAC brown trout season closes 30th September. Permitting any legal method for competitions is likely to result in no fish being returned due to both treble hooks and deep hooked fish with bait.This at a time when the Scottish Government is implementing fish tagging and catch restrictions for both anglers and commercial netting operations, when restrictions are being imposed for killing of spring salmon throughout Scotland, netting seasons shortened and catch and release being encouraged nationally.The recent decisions to reserect competitions for migratory fish is surely a step in the wrong direction for the future of our migratory fish stocks. There are other ways to encourage angling in the rivers and lochs but competitions with any legal method and unlimited catches is at odds with the recent conservation and protection measures being embraced by all that wish to ensure the future of Angling and fish stocks.